Shropshire Raft Tours offers a variety of outdoor activities including scenic riverboat trips, canoe/kayak hire, boat hire, mini-raft hire, mega SUP hire, cycle hire and events, all featured along the beautiful River Severn. Time to switch off the iPhone XS/XR, stop watching the news on Brexit, leave your new slime toy and the latest magazine on Prince Harry and Megan Markle at home and enjoy the outdoors! We can give you more than 13 reasons why to join us with families, schools, corporate groups, team building, brownies, girl guides, sea, army, air cadets, family reunions, sports clubs, youth organisations and hen & stag groups. All are welcome to enjoy our scenic guided float tours on our 25ft rafts (up to 16 per boat), hire your own mini-raft (3-5 person), hire a mega stand up paddle board (5-8 person), canoe and sit on top kayak hire (2-3 person) and hybrid and electric bike hire based in the Ironbridge Gorge. 10 minutes from Telford, 30 minutes from Shrewsbury and 1 hour from Birmingham means our activities are close by for a great day out in beautiful Shropshire. From 1 hour to 7 hour trips. Enquire for daily trip times (April to October). Groups can book out of season. Come join us on the largest rafts in the U.K! Suitable for all ages, family reunions, corporate groups and schools as you let your guide row you downstream with a guided tour through Ironbridge on the river Severn. Enjoy our traditional boat hire with 1 hour, 2 hour or full day 6 hour hire (Atcham to Ironbridge) with time to stop off and enjoy a picnic along the way. We provide a shuttle for full day hire up to Atcham. Our 10ft mini-rafts are great for hen and stag groups, corporate groups or friends and families who want an independent trip by themselves on the river Severn. From Atcham down to Ironbridge for a full 7 hours on the river. We provide a shuttle for full day hire up to Atcham. More fun for groups who are a bit more adventurous still wanting their own trip. From Atcham down to Ironbridge paddling 15 miles downstream with 7 hour full-day hire. Enjoy a day out with friends. We provide a shuttle for full day hire up to Atcham. A fantastic trip through the Shropshire countryside for adults 18+ and children 14 years and above. From Ironbridge to Bridgnorth you can enjoy the N55 cycle route with a 3.5 hour half day or 7 hour full-day hire. Enjoy a day out with friends, loved ones or family members. Whether you’re looking to sit back and relax whilst enjoying a scenic guided float down the river Severn or want your own mini-adventure paddling under your own steam with our for hire services, we have something suitable for all ages at Shropshire Raft Tours. We offer 1 hour up to full day hire on our canoes and kayaks plus full day hire on the river Severn (Atcham to Ironbridge) on our mini-rafts and mega stand up paddle boards. Come join us for a fun day out. Call us at (01952) 427 150. Email us shropshirerafttours@icloud.com. 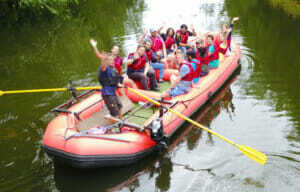 Shropshire Raft Tours is proud to promote our green tourism approach. We are looking to promote enjoyment to the area of Ironbridge with very little impact to the environment. Our clients can enjoy the river Severn by the old traditional guide, oar-powered method going downstream while you sit back and relax or our for hire services where you paddle your own craft on the river Severn. No reason to transport the large rafts back up to our start point by truck as we are happy to use a small outboard motor to go back upstream leaving less congestion on the road. We provide transport up to your full day start point in Atcham when hiring and you paddle back to us. We look to our own business as a framework to make a commitment to sustainable tourism. It’s designed to provide our customers with the knowledge they leave only footprints and take only photographs. By adopting our Green Tourism approach, our business is signalling to visitors that it recognises the importance and value of sustainable good practice. All our raft trips and hire of canoes, kayaks, mini-rafts, mega stand up paddle boards (SUPs) and bikes start at the Museum of the Gorge car park at our Little Green Kiosk next to Ironbridge Information Centre and the river Severn. Here you can present your confirmation code (after calling us or booking online we will e-mail this to you) and then get set for your activity. We have a 2 minute walk to the river for our scenic float trips or 1 and 2 hour canoe and kayak hire. After a quick safety briefing, you will set off on your raft tour, rowed by an experienced trained guide along the River Severn, visiting both historical and beautiful sites. Photos are available at the end of the scenic float tour to purchase. Come and enjoy the scenic Shropshire River Raft Tour. We then shuttle you back to our Little Green Kiosk in the Wharfage car park (TF8 7NH) by minibus. For the full day hire of canoes, kayaks, mini-rafts and mega stand up paddle boards (SUPs) we meet at the kiosk at 8.45am and shuttle you by mini-bus to Atcham where you then paddle back to Ironbridge. For full day hire of bikes, we meet at the kiosk at 9.30am. Half-day hire can be booked starting at any time up to 1.30pm. Before setting off we check the seat height of your bike to ensure you have a comfortable ride. We also provide a cycle map showing all the local cycle routes you can take. The Iron Bridge has gone through a refurbishment in 2018 so please come and enjoy the first ever cast Iron Bridge in all its splendour ready for 2019. The river Severn passes through the beautiful Shropshire countryside. There are many opportunities for photos along the way as well as a group shot taken by our photographer on our guided raft trips which is available to purchase at the end of your trip. There are plenty of services and facilities (cafes, pubs and shops) available and located nearby in Ironbridge. Public toilet facilities are located in the Wharfage car park where our kiosk is based. 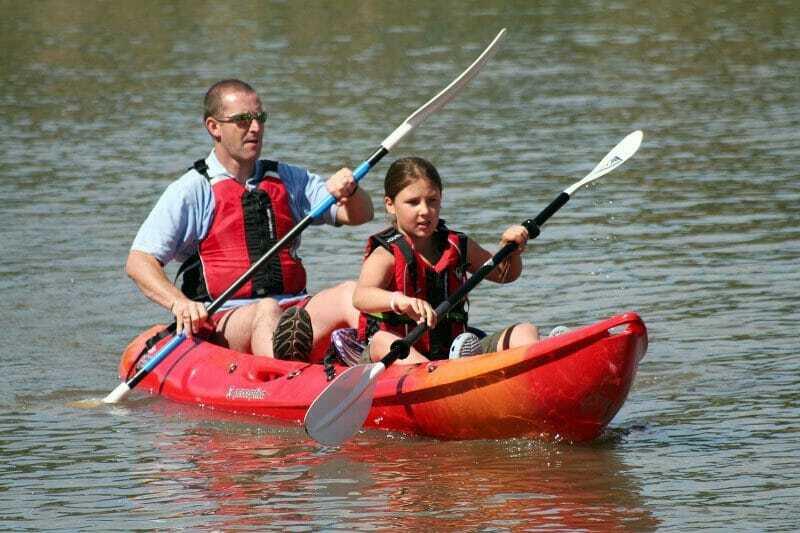 Our guided raft tours are paddled by a trained and experienced raft guide. Along the river they will not only row the raft ensuring it’s safety but will also talk about the history and key river landmarks. We provide and maintain all safety equipment, ensuring we keep you safe. All rafting tour guides are experienced rafters, know the river well and have First Aid training from accredited institutions. If you are interested in a trip with Shropshire Raft Tours and would like to make a reservation, or you have a query, please click the button to be taken to our contact page. Thank you. Visited the historic town of Ironbridge today and took an amazing trip on the river with Nigel. From start to finish he put us at ease and imparted some great gems of info about the area, river and history of the area. We had our 5 year old with us and Nigel gave each and everyone one of us his attention. A great ride and gives a view of the town I will never forget. Booking is easy, an amazing ride to do. A Great Place For The Grandkids ! This is the second time we’ve done this trip in a couple of weeks and thoroughly enjoyed them both – more importantly so did the grandchildren – girls of 10 and 12 and a boy of 14. Nigel the “captain” puts safety high on the agenda but still makes the trip entertaining, gives the kids a chance to work the oars and makes it educational too. A great couple of hours ! Having organised many educational visits for both children and adults I was impressed by Nigel’s clear and concise instructions re water safety. 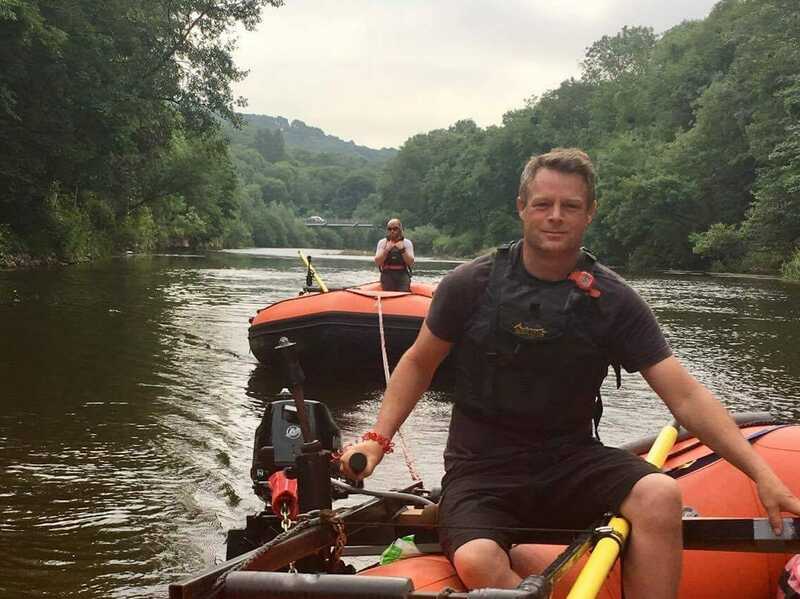 His commentary was both informative and appropriate for the wide age range of the raft “team”.I would unhesitatingly recommend a raft trip for anyone wishing to see the Ironbridge Gorge from a different perspective.! Visit Get Kids Out Learning to find the best family days out across the UK!